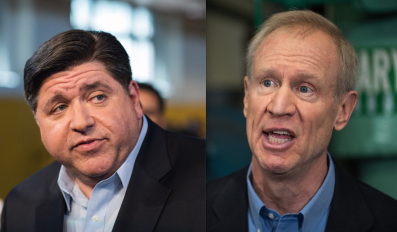 Illinois Governor Bruce Rauner officially concedes his bid for re-election Wednesday morning to democratic challenger JB Pritzker. Pritzker capitalized on Rauner’s unpopularity as well as low approval ratings for President Trump. Illinois Democrats won big across the state in the Midterm race. Rauner’s concession Wednesday included a call for bipartisanship in Springfield. Rauner will perhaps best be remembered for a record-long budget standoff. Pritzker has said his first priority will be balancing the budget.